The Miller family had been farming acreage in Ferguson, Missouri for over a century when Molly Rockamann, a visionary who loves to dance, came home from service overseas, met Mrs. Miller and launched - in 2008 - the enterprise EarthDance Farms. Today, this extraordinary human-nature partnership includes an Organic Farm School; hands-on working and learning opportunities for teens to elders; productive, nutritious, delicious and LOCAL public interactions through the Ferguson Farmers Market - and much more. 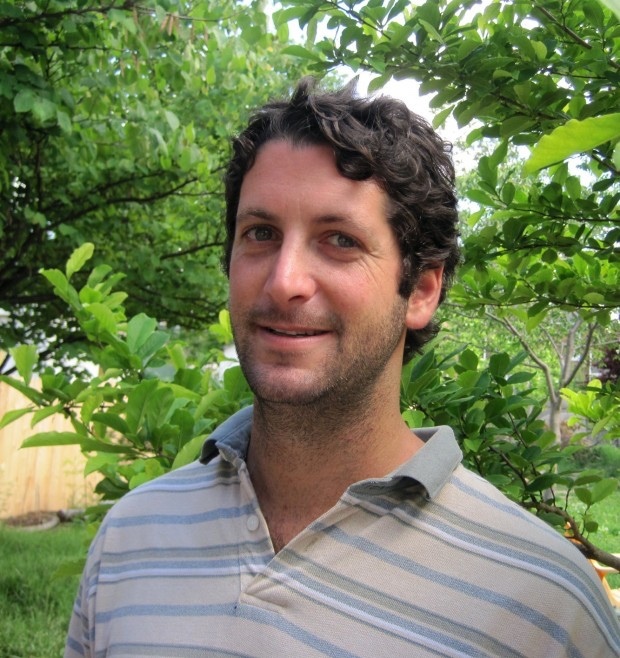 Most recently, the principles of Permaculture have taken root on the contours of EarthDance fields, guided enthusiastically by Farm Manager Matt Lebon. Matt describes the Permaculture way of working with nature to produce food while supporting whole ecosystems (way more than just crop rows) on agricultural lands. This summer, plan a Saturday morning trip up to Ferguson. Shop the Ferguson Farmers' Market starting at 8 am, then at 10:45 hop on the new Jolly Trolley (put your veggies in its cooler) for a short trip to tour EarthDance Farms. You'll be back to your car by noon - and it may not be your only visit! Learn more at www.EarthDanceFarms.org. THANKS to Andy Heaslet, Earthworms' engineer, and to Crystal Stevens, EarthDance Marketing Mama, for coordinating this interview. Farming on a Downtown Roof - June, 2015 - Food Roof farmer Mary Ostafi is an EarthDance alumna. Nuclear Power: In its new generation, is it worth reviving? Kat Makable, a financial analyst, was living in Japan in 2011 when the tsunami resulting from the Tohoku earthquake shut down the Fukushima Daiichi nuclear power plant. His experience of the effects of power outages and shutdowns motivated him to research nuclear power options. 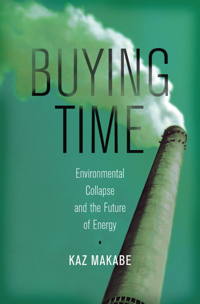 His book "Buying Time: Environmental Collapse and the Future of Energy" makes the case that current generation nuclear energy technology must be included in a mix of energy production sources to support human needs and demands in the age of Climate Change - and beyond. THANKS to Andy Heaslet, Earthworms engineer! Earth Day is a green-letter holiday for Earthworms, this year celebrating 29 years of communicative community service on KDHX! Worms and humans will whoop it up at the St. Louis Earth Day Festival in Forest Park on the glorious rolling grounds of The Muny. And did we say: it's all FREE! 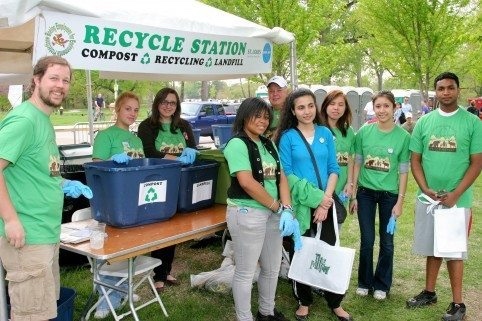 We say a lot about this event in this Earthworms conversation with host Jean Ponzi and Bob Henkel, manager of St. Louis Earth Day's uber-resourceful year-round community-event program Recycling On The Go. These days, in the enviro-biz, it ain't all good news. But Earth's elegant, beautiful systems persist in humming all around us. Getting outside for a fete is a righteous way to celebrate the gifts of Earth, and of Life here. 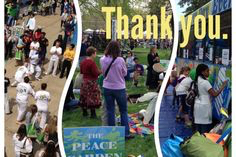 The Earth Day Festival in St. Louis offers open-air breezes, music, great food and drink, fun and enlightening activities, super-duper people-watching - and the opportunity to learn a lot of good stuff toward becoming a better steward of this Earth we in habit. All for Free. Hope to see you at the Earth Day Festival! MUSIC: Agnes Polka, performed live at KDHX by the Chia Band. THANKS to Andy Heaslet, Earthworms very Green-minded engineer. Their motto: 124 Cities, 10 States, 1 River. Their most recent collaboration: a proposal to the Trump administration for investing in an infrastructure plan that restores ecology as well as built features along the Mississippi. 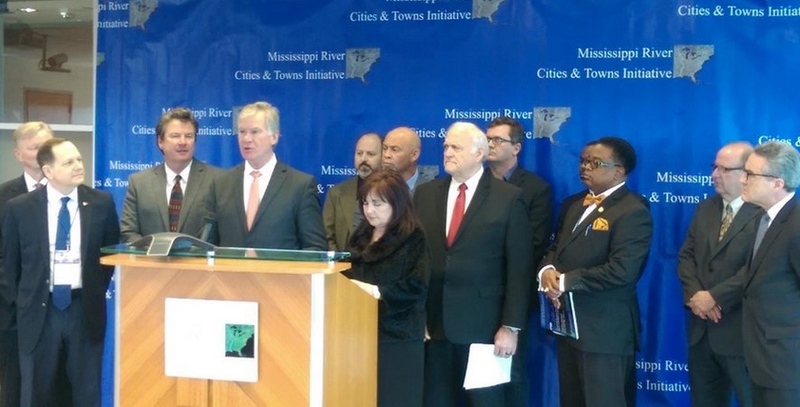 They are the mayors of towns of all sizes bordering the river's "mainstem," forces joined in the Mississippi River Cities and Towns Initiative. This group of local leaders jumped on the presidential campaign promise of infrastructure improvements, preparing a plan they presented in Washington on March 1, that calls for investing $7.93 billion in specific actions that will create 100,000 new jobs, sustain 1.5 million existing jobs, and generate $24 billion in economic return. The mayors' plan is grounded in economics. It modestly calls for near-current levels of funding for valuable EPA, DOT, DOI, FEMA and U.S. Army Corps of Engineers programs that clean our water and return taxpayer investments at the rate of at least 2 o 1. This group was FIRST to present a proposal to the White House, meeting with the President's senior infrastructure advisor and representatives from White House Intergovernmental Affairs and the National Security Council. This Earthworms conversation with Colin Wellenkamp, Executive Director of MRCTI, details foresight, cooperation, leadership, and common sense - applied to protect and restore the Triple Bottom Line of natural, human and capital resources - from elected officials of American towns. It's a proposal, not a done deal by any means, but . . . Kudos, mayors for GREAT work! Stay tuned. THANKS to Andy Heaslet, Earthworms engineer.